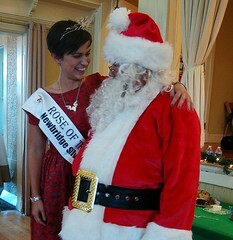 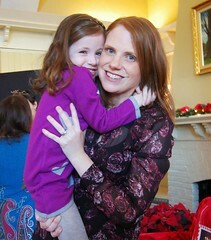 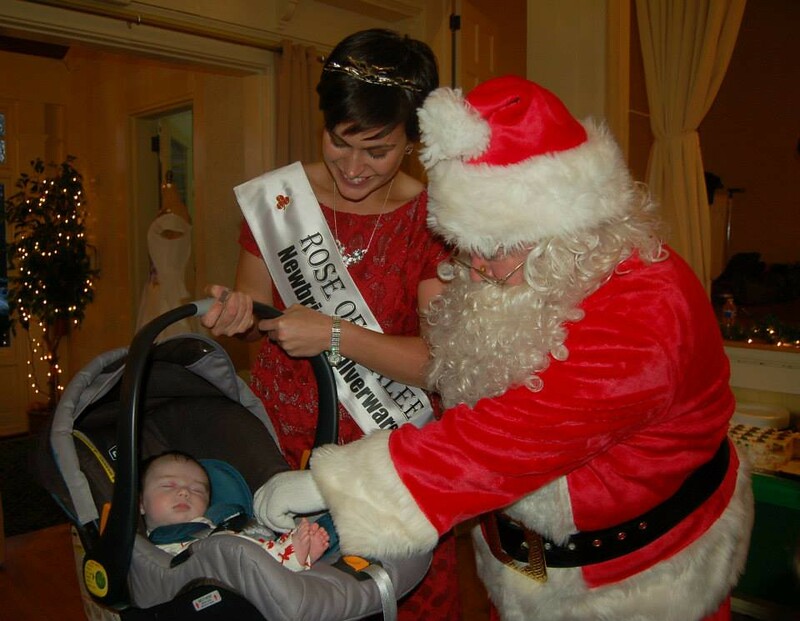 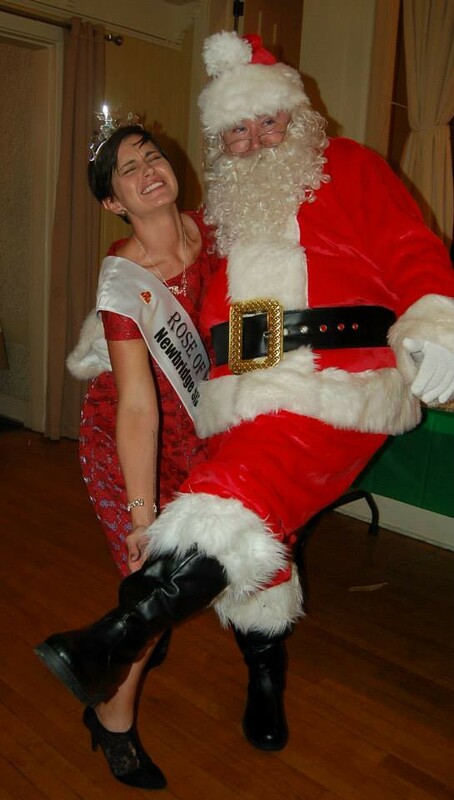 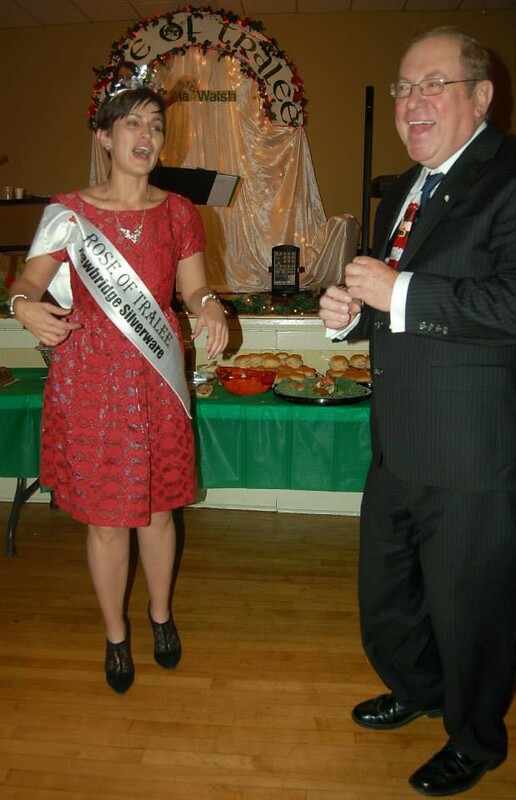 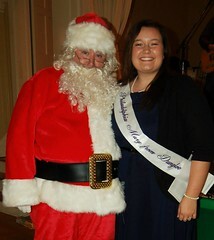 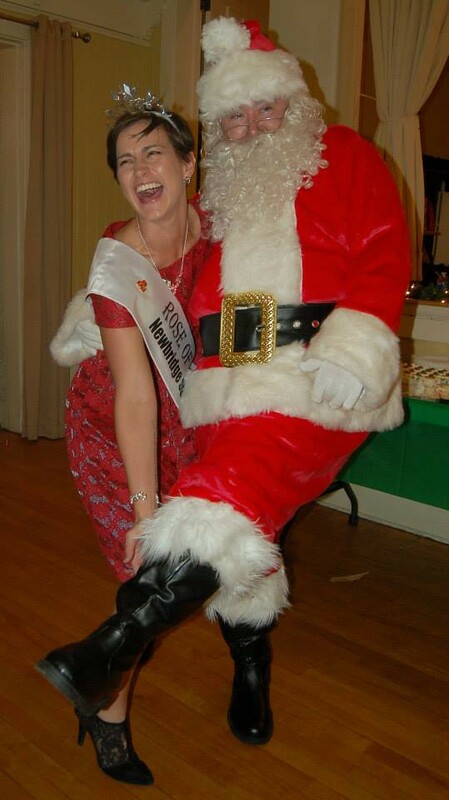 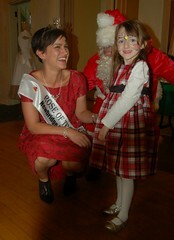 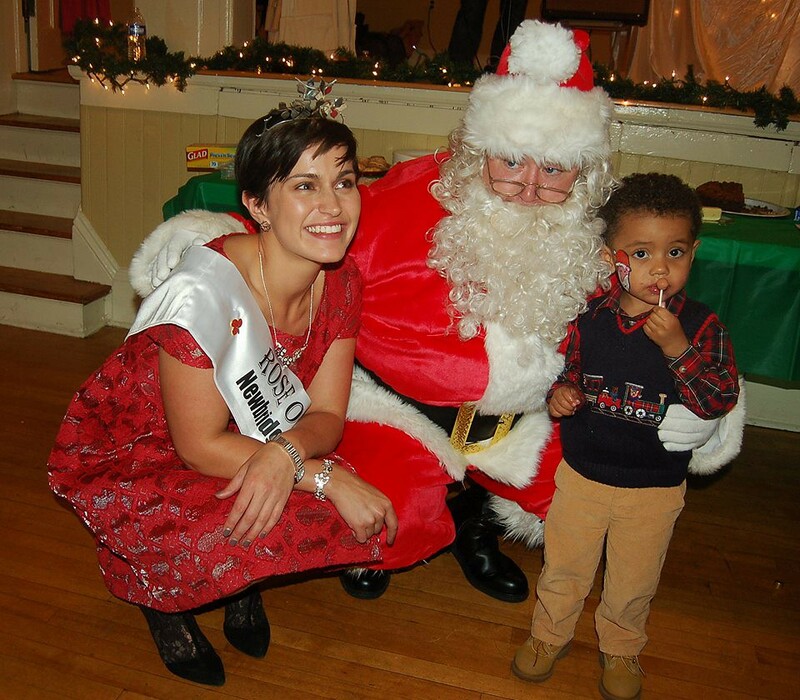 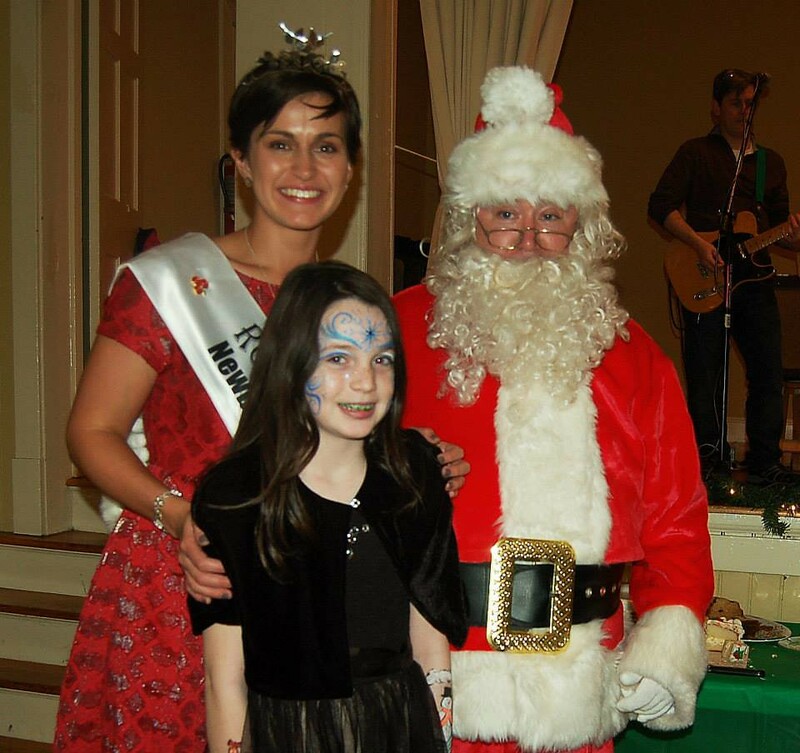 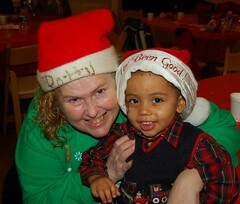 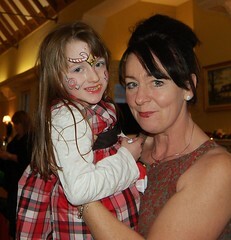 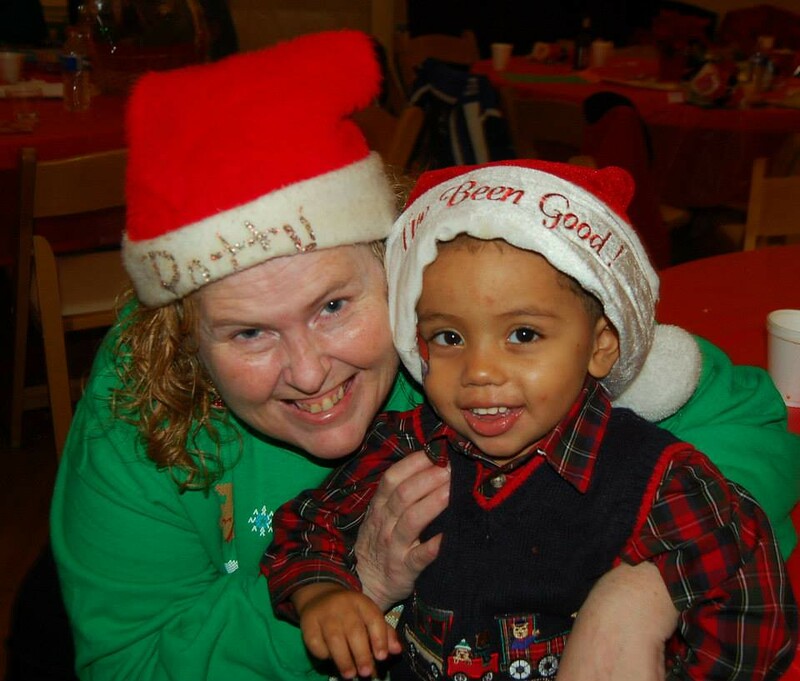 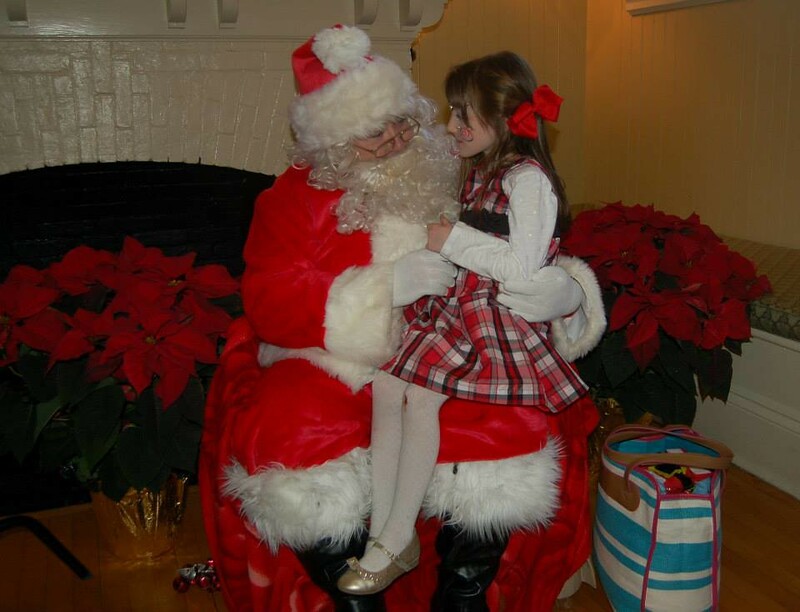 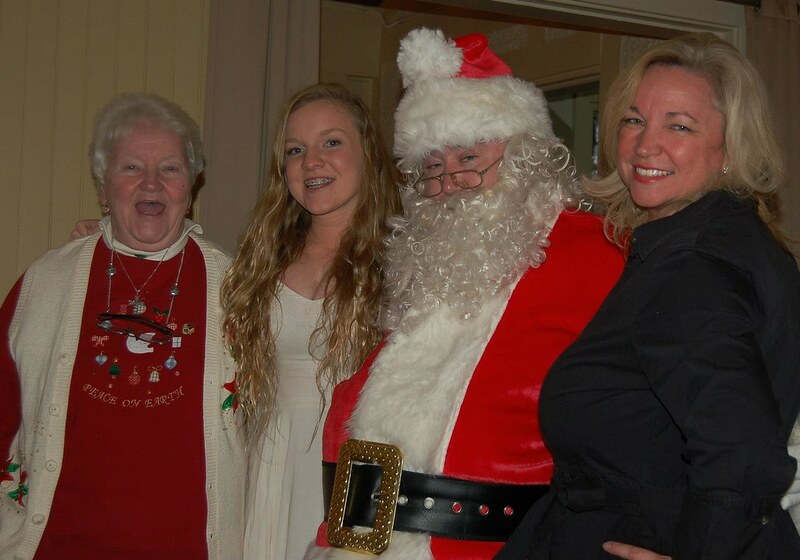 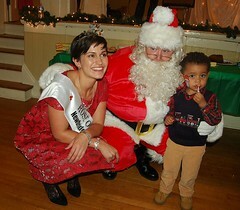 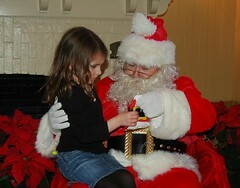 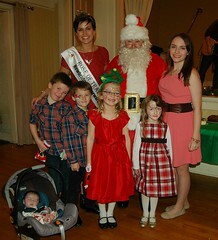 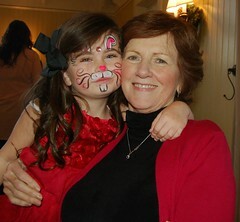 Maria Walsh and Santa crack each other up. 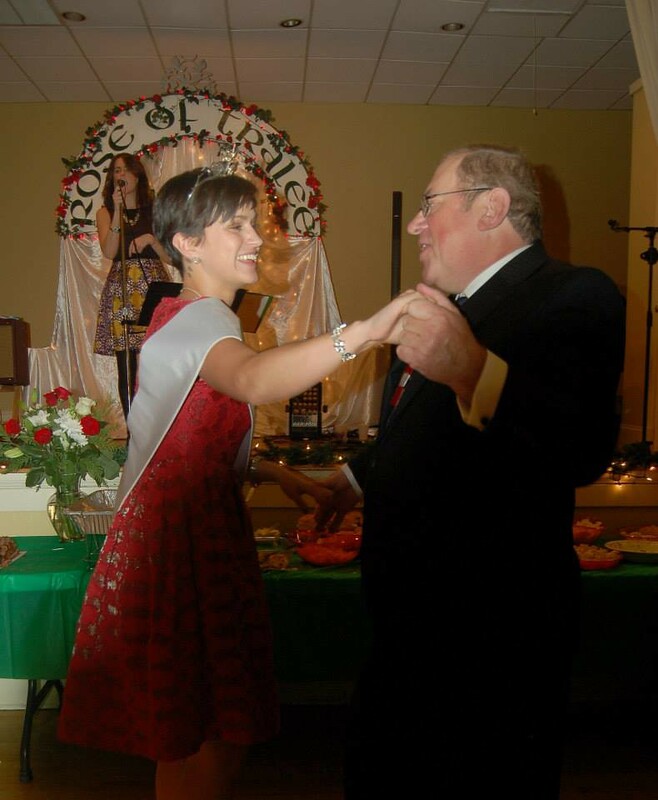 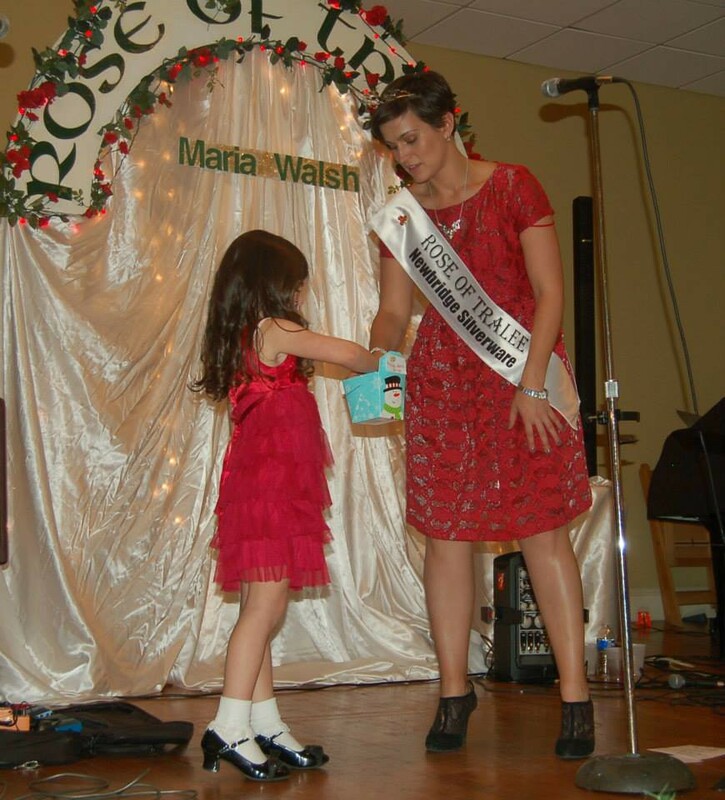 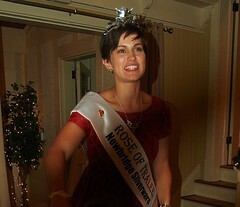 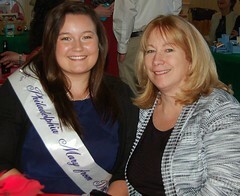 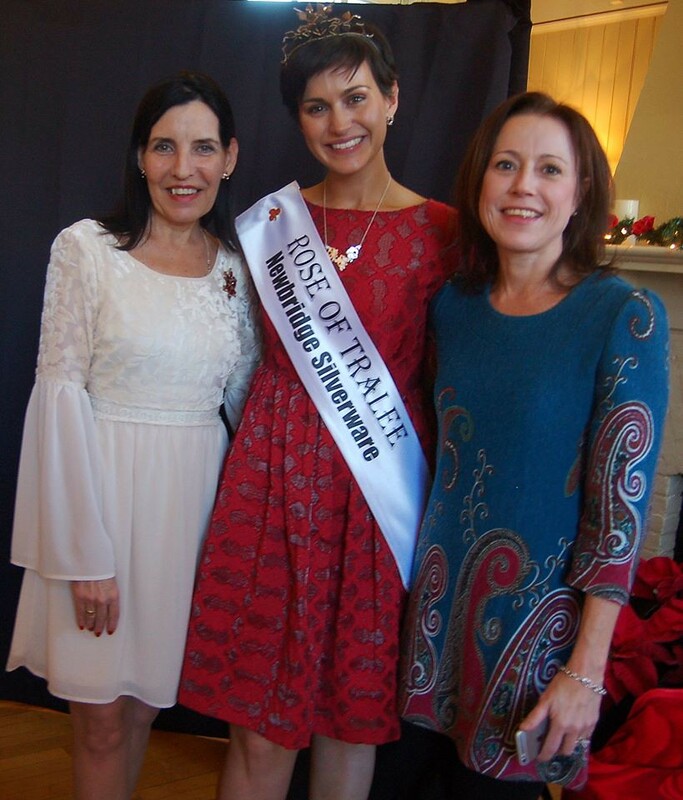 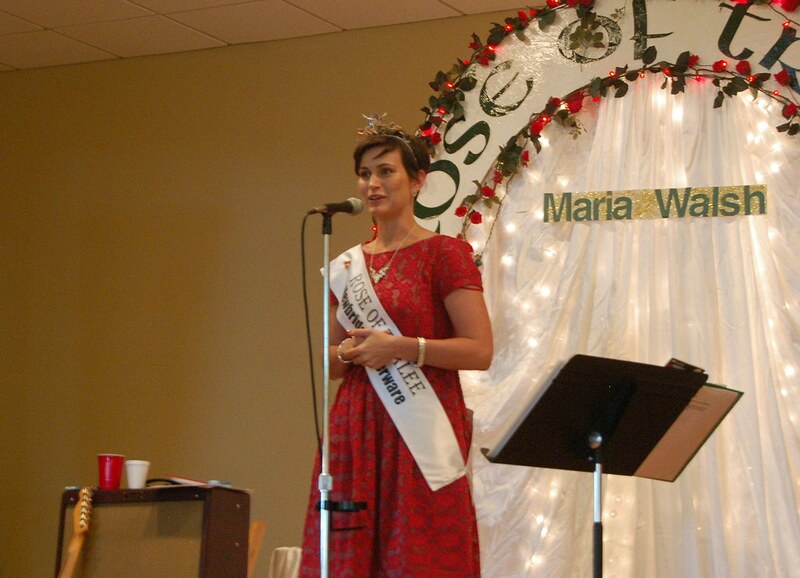 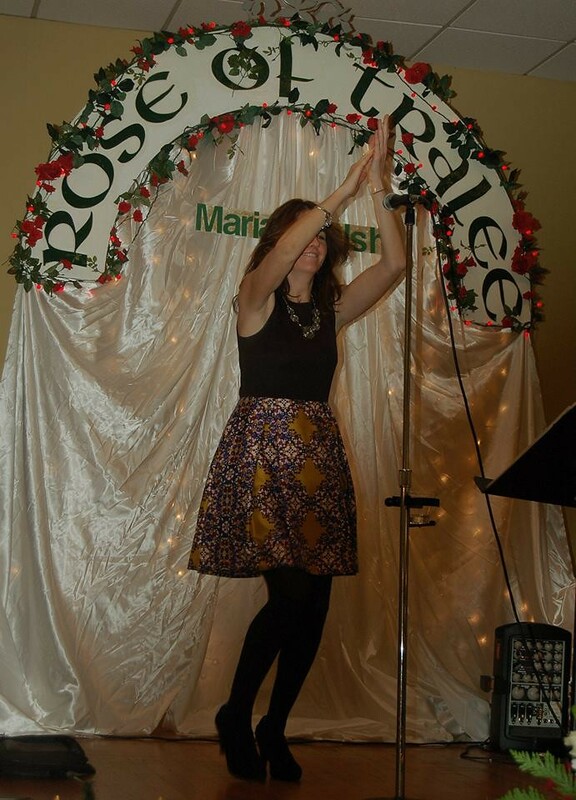 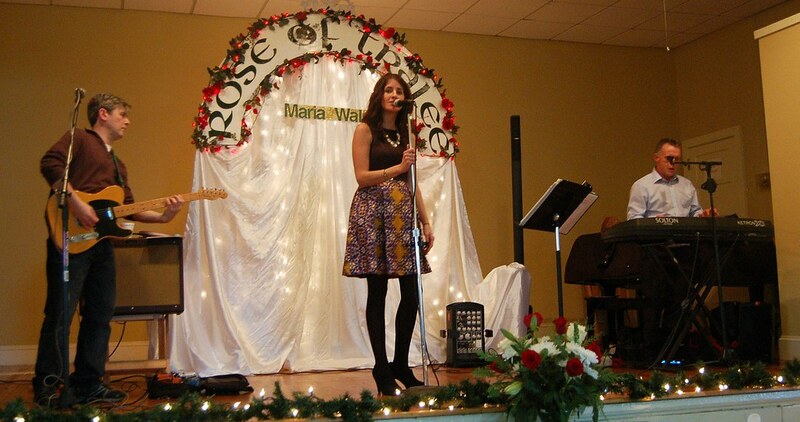 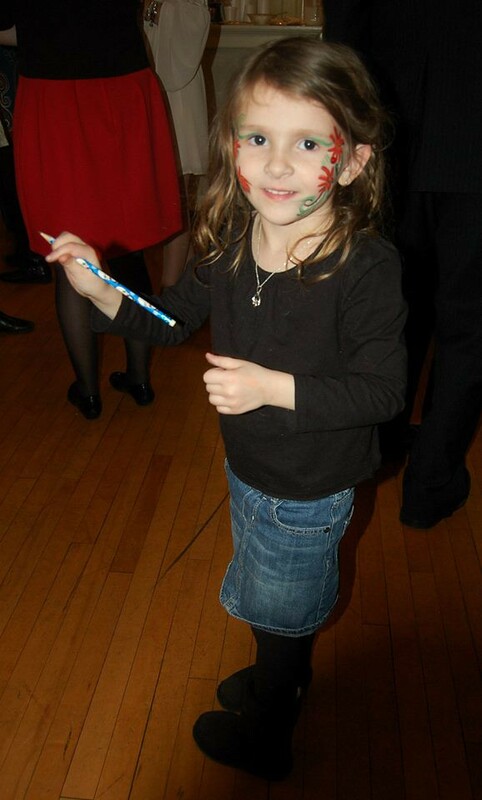 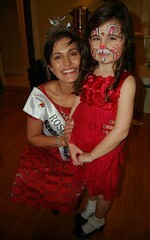 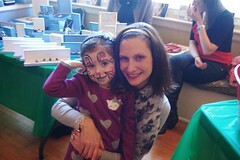 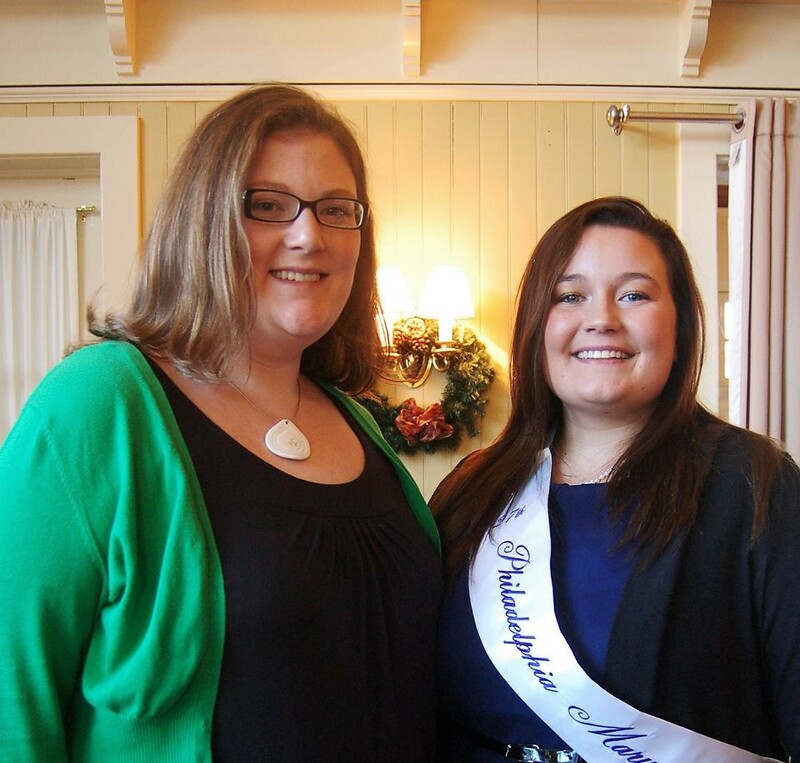 When the Philadelphia Rose Centre was established in 2002, in order to give “young Irish American women from the Philadelphia region the chance to participate in one of Ireland’s most beloved traditions,” little did they know that in 2014 they would see one of their own become the International Rose. 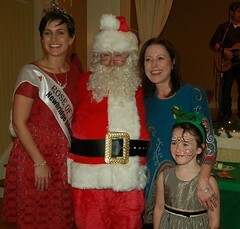 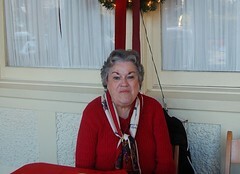 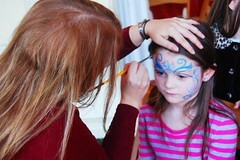 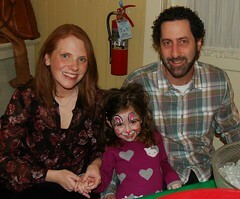 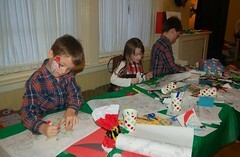 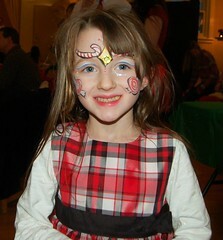 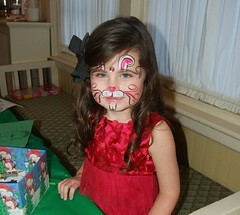 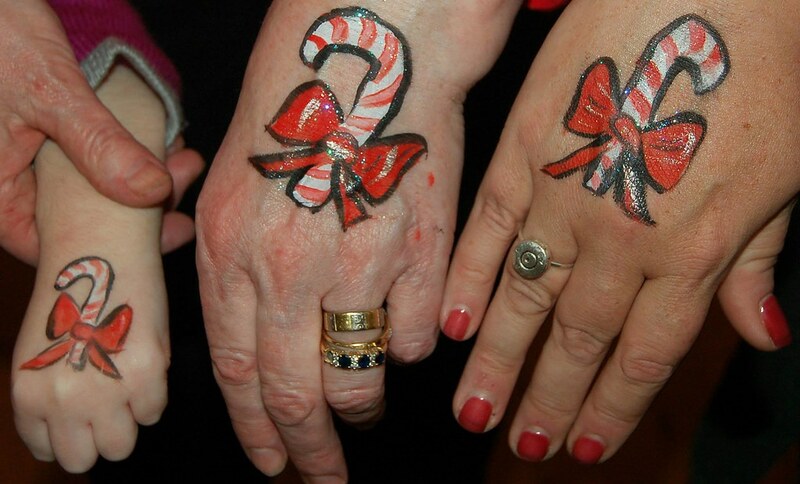 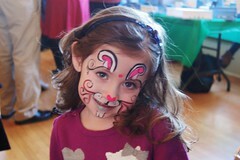 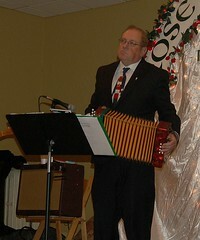 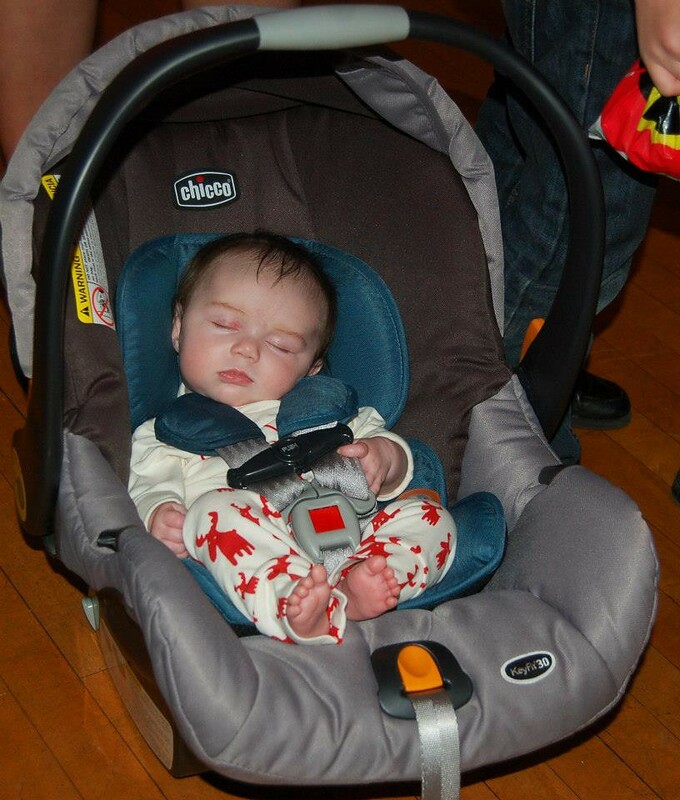 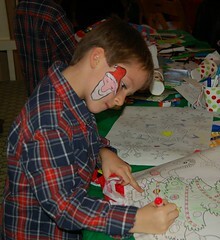 So this year’s Christmas party was an extra special holiday celebration. 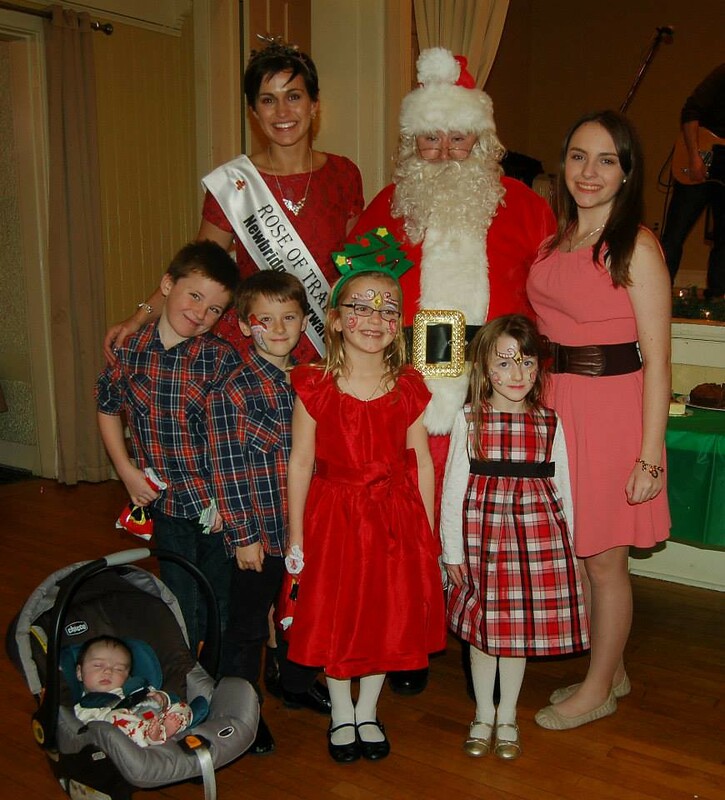 With Maria Walsh and Santa (who sometimes goes by the name Seamus Bonner) in attendance, the Saturday Club in Wayne was rocking the season’s spirit last Sunday. 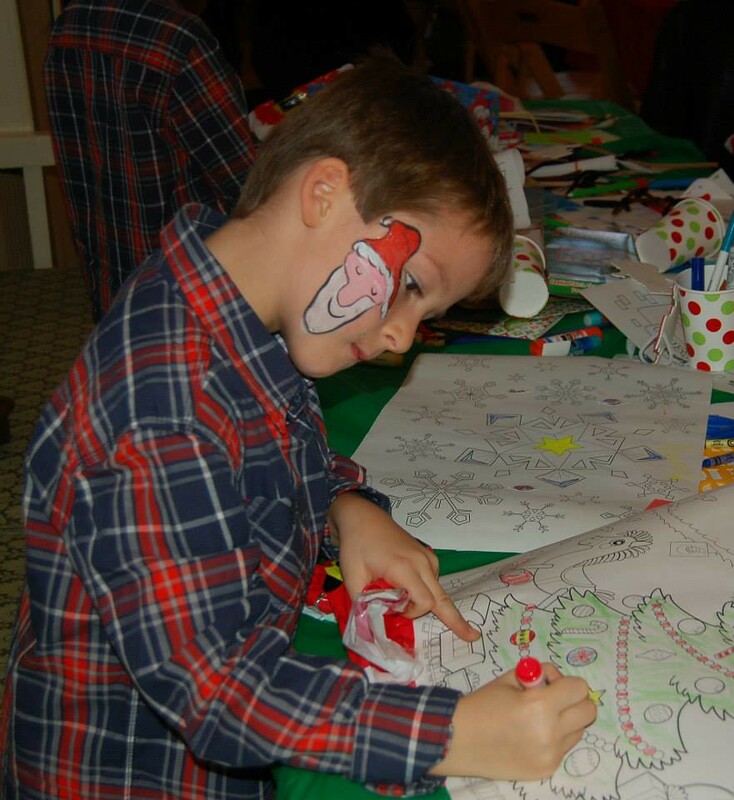 There was food, music provided by Karen Boyce McCollum and the Lads (Pat Close and Pat Kildea), dancing, face painting, crafts, raffles, Newbridge jewelry for sale by Kathleen Regan and just a whole lot of fun. 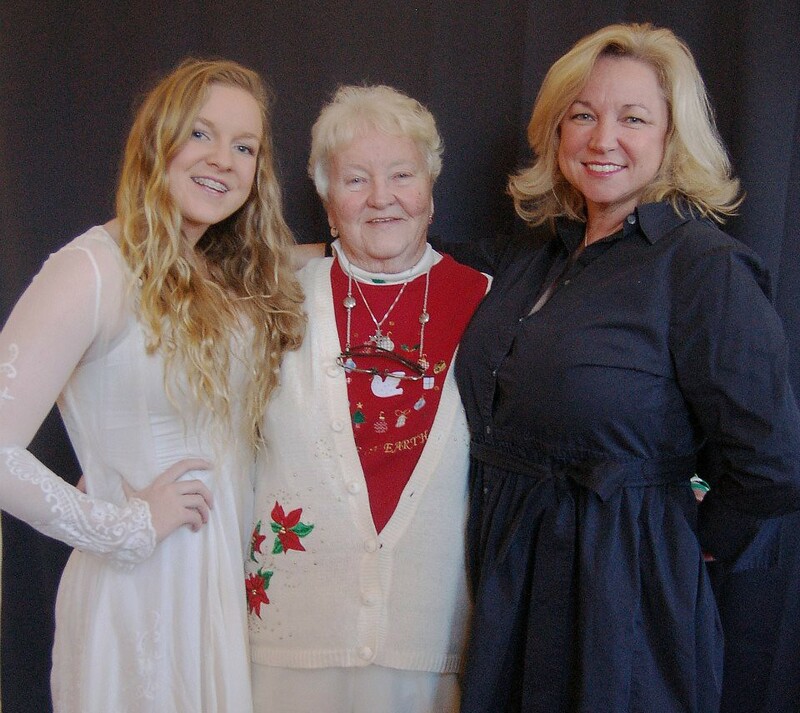 The Conaghan family—Tom, Mary and daughters Sarah, Mary and Karen Conaghan Race—are the driving force behind the phenomenal success of the Philadelphia Rose program, and are supported by a devoted committee (Margaret King, Beth Keeley and Elizabeth Spellman) and volunteers who work throughout the year to bring events and activities to the Rose community.